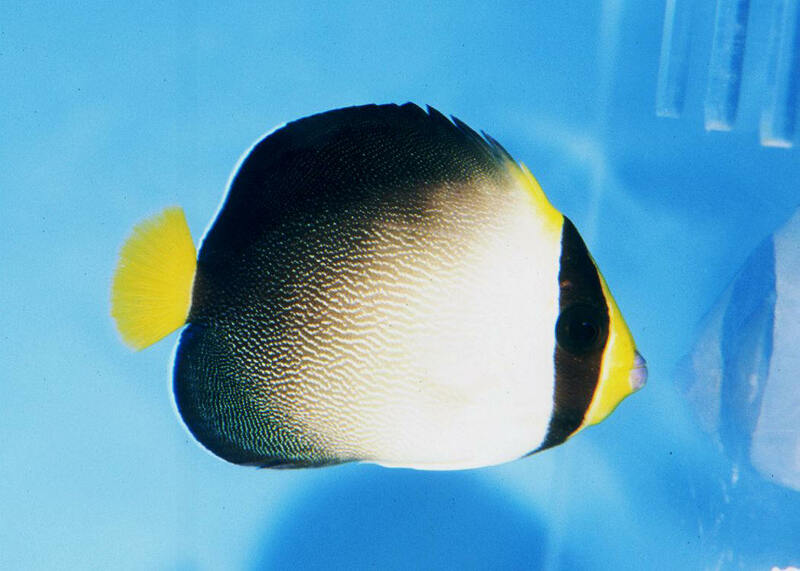 Chaetodontoplus meredithi Kuiter 1989, Queensland Yellow-Tail Angelfish (2). 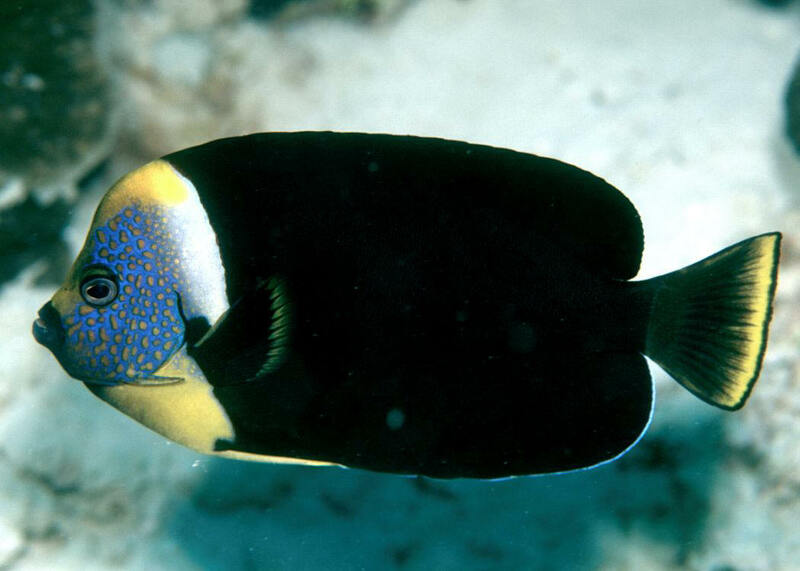 Very similar to the Personifer (C. personifer), but with a much brighter yellow tail. From the east coast of Australia. To ten inches in length. Queensland, Australia. Here eating a jelly in mid-water. 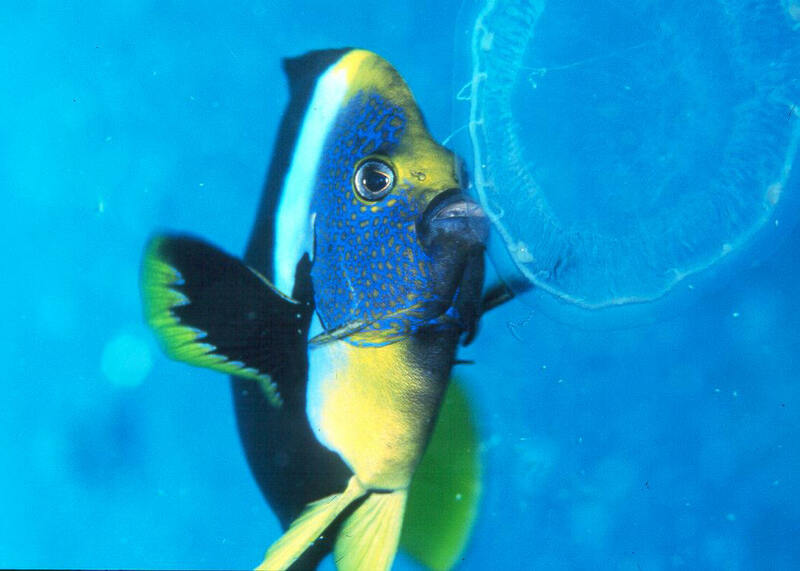 Genicanthus bellus Randall 1975, the Ornate Angelfish (3). Lives in small groups, plankton-feeding up off the bottom. To six inches in the wild. Western Pacific and Cocos Keeling in the eastern Indian Ocean. Aq. 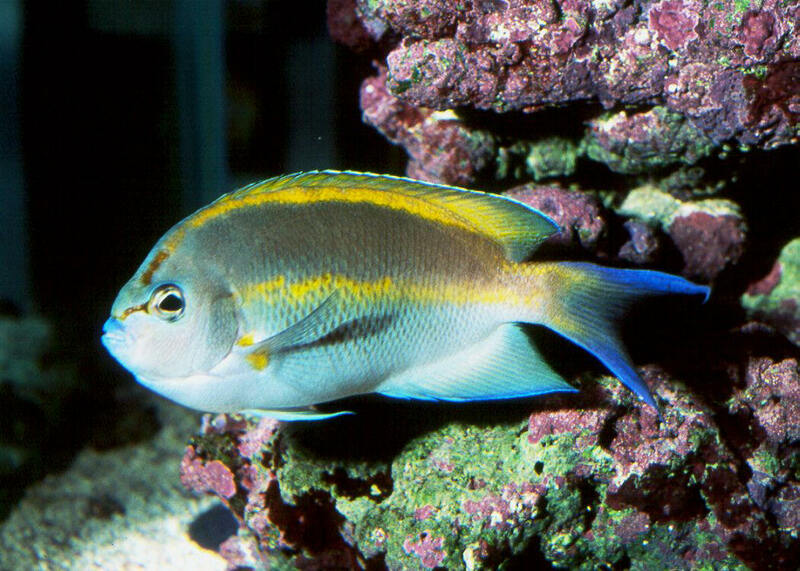 pic of a male.